Hello lovelies, today I have for you a very festive soap from the new Christmas range at Lush, I fell in love with this at first scent rather than sight although it is pretty cool looking also. It reminds me instantly of cinder toffee, does anyone eat that stuff? Its delicious! This soap lathers up like a dream and makes you smell like a huge cinder toffee, with hints of fudge and other festive scents, it is very creamy and also contains moisturing properties being soya yoghurt and it also has a very been very generously dusted with cocoa powder so that will also keep your skin feeling lovely and smooth. I love everything about this soap, I am not hugely a massive fan of soap usually it just always seem pointless to me I would rather use shower gels and things like that, but this makes my bathroom smell amazing and it feels so lovely on my skin. It is very festive and makes me smell edible and delicious when I get out. 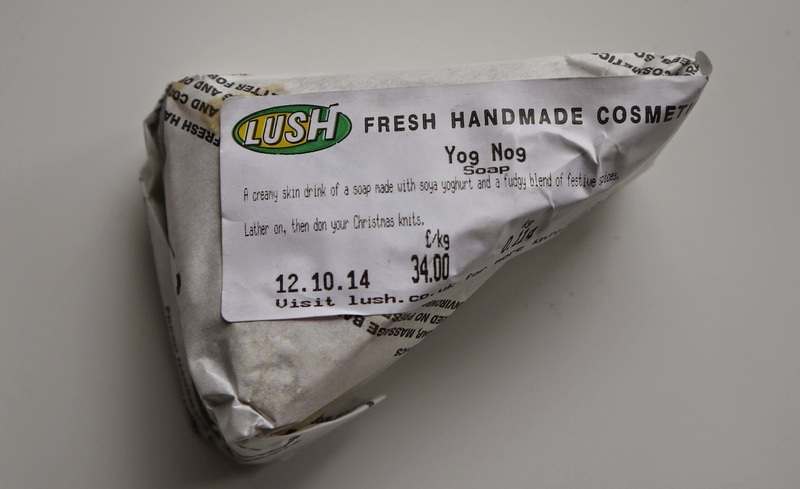 I now need a yog nog moisturiser in my life, come on lush! Although the scent does linger for quite a while so you smell yummy going to bed. I will definitely be buying more of this before it goes out of stock and also have my eye on the reindeer soap! 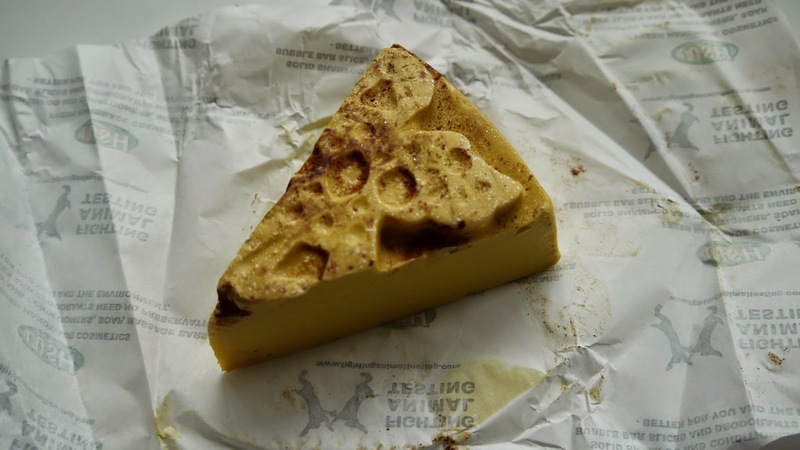 Have you smelt yog nog yet or got your eye on any Lush Christmas goodies?